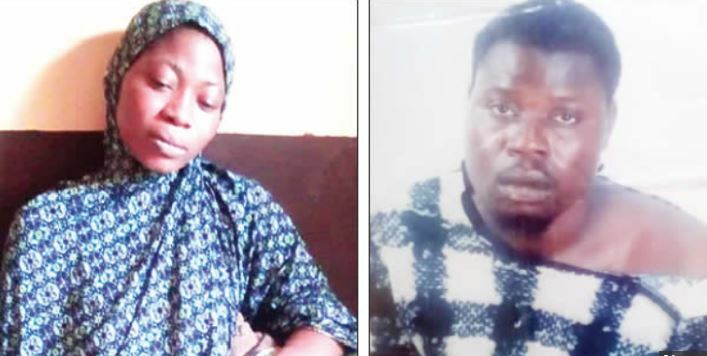 According to a PUNCH Metro report, the family of Sodiq Tijani, an automobile mechanic, is in a bad mood presently after his wife, Kehinde, lost her four-month-old pregnancy to an alleged assault by their landlady, Toyin Sulaimon aka Iya Sade, and her sons, Azeez and Baba Oja, in the Iju-Ishaga area of Lagos State. It was gathered that the house, which is located on No 33 Udem Street, Brown bus stop, Iju-Ishaga, was bequeathed to Toyin and her siblings and the room Sadiq rented belonged to one of her siblings, identified simply as Bankole. While Toyin had been collecting rent from Sodiq on behalf of her brother, a disagreement between her and the tenant was said to have started when he refused to follow her instruction to lie to Bankole that he had yet to pay his rent though she had allegedly collected six months’ rent from him. Annoyed by his refusal, Toyin was said to have ordered him to park out of the apartment after his rent must have elapsed, but while the tenant was making arrangements to leave the house, the landlady and her sons allegedly assaulted Sodiq and his pregnant wife, which led to the loss of the pregnancy. Sodiq, who said he was inside the room when Toyin called him out and started assaulting him, added that Baba Oja came with about 16 people, who also beat him until he was bleeding. He alleged that Azeez, while forcing his way into his room, damaged his property and hit his wife in her stomach with a rod. The 28-year-old mechanic said, “After I paid her (Toyin)N32,000, she wanted me to lie to her brother and I refused. She became annoyed and said I wanted to tear her family apart; she told me to park out after my rent must have expired without giving me a notice to quit, but I still went ahead to make arrangements to leave. “On Monday, February 25, 2019, I was inside my room when she said she needed to see me and I obliged. Immediately I got to her shop, she locked me up and started assaulting me. It became worse when her son, Baba Oja, came with about 16 people, who beat me till I was bleeding all over my body. Sodiq said the persistent pain his wife was feeling after the assault prompted them to visit the Leke Memorial Hospital the following day, adding that a scan revealed that the foetus in her womb had died. He lamented that despite reporting the assault at Area ‘G’ Police Command, Ogba, Lagos, the inspectors in charge of the case refused to thoroughly investigate the matter, because they had allegedly connived with the perpetrators to cover up the crime. The Oyo State indigene said, “I reported the assault around 4pm on the same day, but the police inspector I met said it was late and told me to come the following day so that Toyin and her sons could be arrested. Early the next morning, two police officers accompanied me to arrest Toyin and I was surprised that when the officers saw her, they allowed her to take a bath. Sodiq’s wife, Kehinde, said she was still in shock over the loss of her pregnancy, adding that the police officers handling the case had been compromised. PUNCH Metro reports that in a bid to get justice, Kehinde, Sodiq and his sister, Iyabo Saheed, visited the Lagos State Public Advice Centre, where a call was put across to the Commissioner of Police, Zubairu Mu’azu, who reportedly ordered the Area Commander, Area ‘G’ Police Command, to immediately investigate the case. Saheed stated that the police inspectors, who handled the matter, never briefed the Area Commander about the case because they wanted to cover it up, adding that when the commander requested the case file to charge the matter to court, he observed that the inspectors had allegedly framed Sodiq up. She said, “If the case was charged to court based on the report the police investigators presented to their area commander, Sodiq would have been jailed. But we were there when the area commander read the case file and when he asked after Sodiq, he raised his hand and he challenged him as to why he beat up a pregnant woman to the point that she lost her pregnancy. “It was at that point that I explained what actually happened. Kehinde was also there to testify on the pregnancy that she lost and the area commander became annoyed with Inspectors Abuja and Ramatu and one other. When contacted, Toyin said when she asked Sodiq for the rent he owed, he allegedly punched her on the chest. She said, “My children and I did not beat anybody. What happened was that Sodiq’s rent had been due for a year and three months and when I asked for the money, he punched me on my chest. The Lagos State Police Public Relations Officer, DSP Elkana Bala, who confirmed the incident to our correspondent, said the Area Commander, Area ‘G’, had taken over the matter on the orders of Mu’azu and had transferred the case to the Zone 2 Command in Onikan for further investigation. Elkana said, “The Commissioner of Police has directed the Area Commander, Area ‘G’, to take over the matter from the two inspectors and after his involvement, he said the concerned parties left his office happy because he had done the needful.